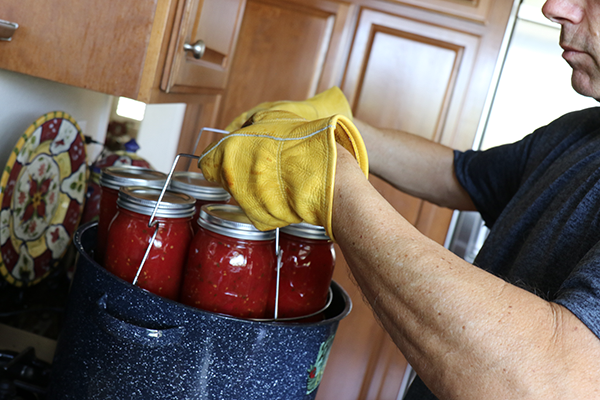 Note: In the US, we say "canning" - whereas when Mum back in Aus would preserve whole tomatoes she would "bottle" them - which kinda makes more sense to say. 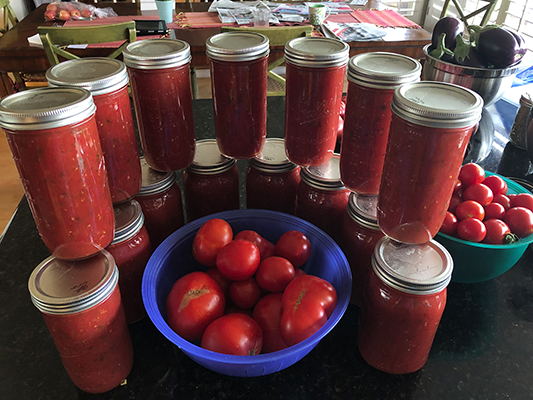 In this recipe I bottle tomato sauce. 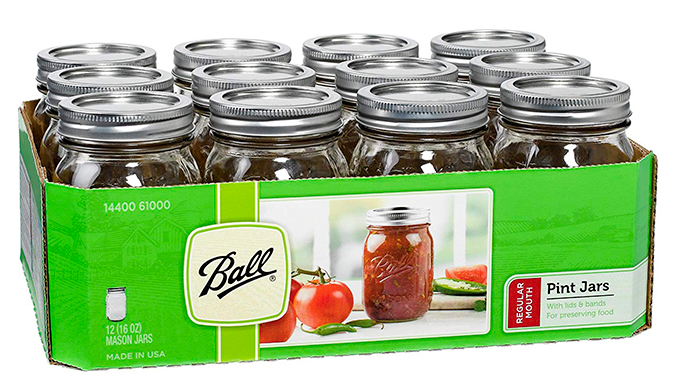 You will need some "Ball" brand jars or similar - these are the jars with the two part tops. Plus a nice big pot to boil the jars in. You can get other specialized equipment but all that is optional. 1. 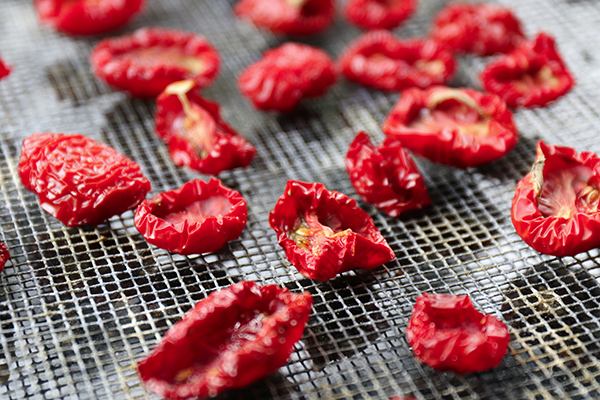 Gather your tomatoes and immerse them in boiling water for 1 minute to loosen their skins. 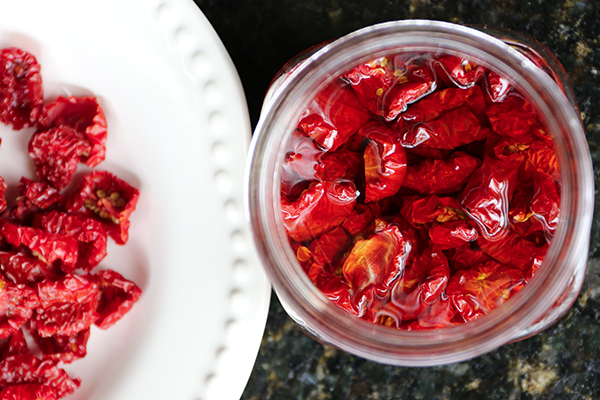 Then peel, chop, and blend very gently. 2. 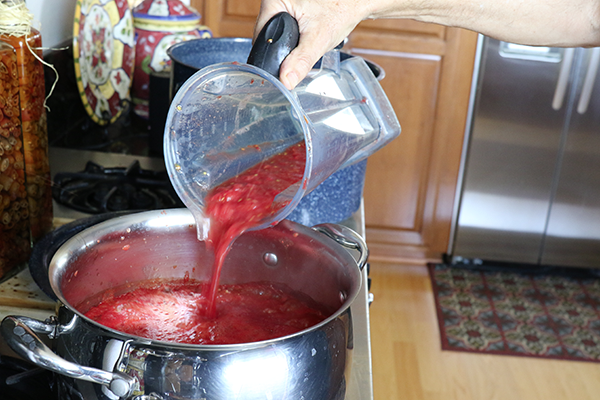 Pour tomato slurry into a large pot and boil off maybe 20%-25% of the liquid - around an hour or so. 3. Add some herbs then pour into washed and clean jars. 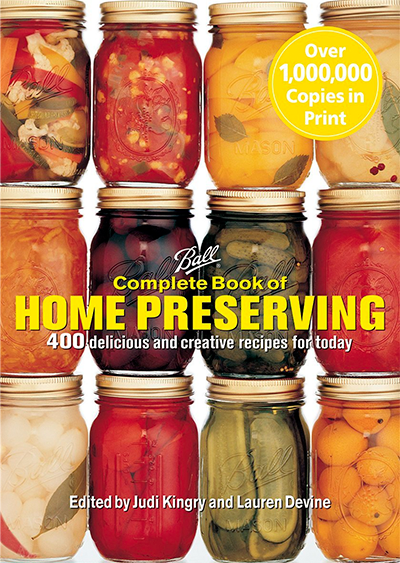 For each 2 pint (1 liter) jar add 1 tsp salt and 1/2 tsp citric acid (3/4 tsp salt and 3/8 tsp citric acid for 1.5 pint jars). 4. 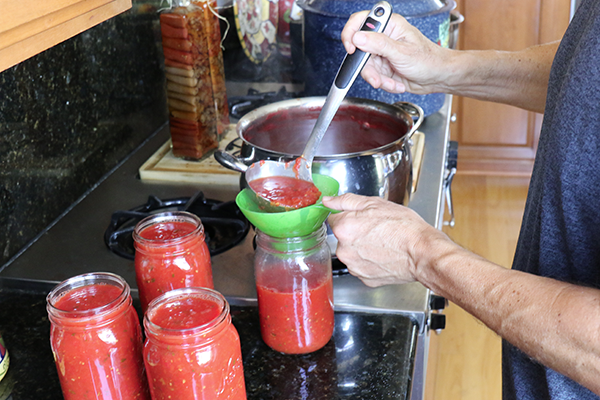 Leave 1/4 inch on the top, wipe jar lip clean, place on tops then secure with screw-on lids. 5. Bring water to boil, carefully place in the boiling water and well cover the tops with water then boil for 35 minutes (1.5 pints) or 40 minutes (2 pints). Let sit for 5 minutes then remove and cool. 1. 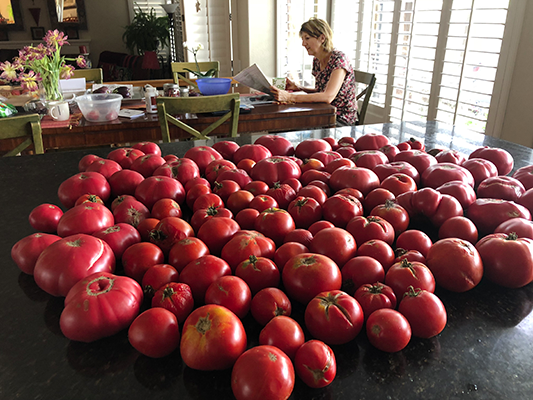 Wait until the tomatoes are at the absolute peak of ripeness - let them sit on the kitchen table for a few days if necessary. 3. Place outside in your sunniest spot. 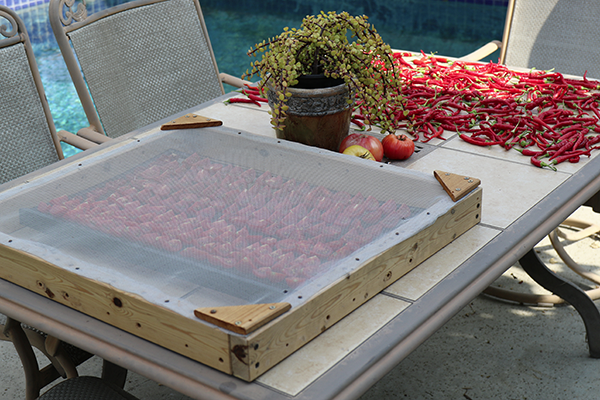 Cover with muslin - or, even better, knock up a rough frame using metal screening from the hardware store. 4. Let sit for 2 - 3 days. Bring in overnight to avoid too much overnight humidity. 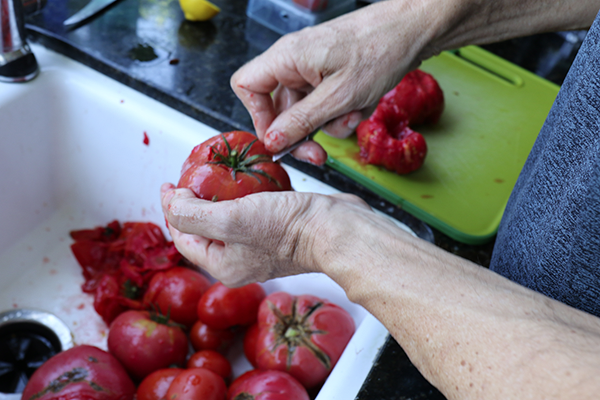 After 2 days I usually remove some of the smaller tomatoes that look ready, clipping off the hard yellow bits that originally attached fruit to the bush. 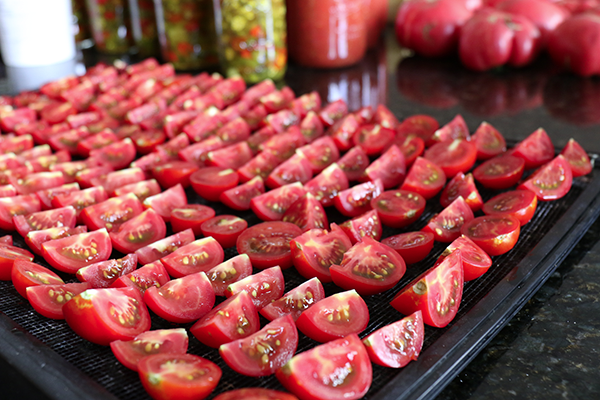 Finally, we place the tomatoes into jars and add olive oil - pressing down on the pieces for efficiency reasons. Store in the fridge.